Where will the top remaining trade targets end up? Marco Scandella - Becomes the top target for a lot of teams following the Hamonic trade. The Canadiens seem like a frontrunner here, but the Islanders and Bruins are among the teams rumoured to have interest as well. 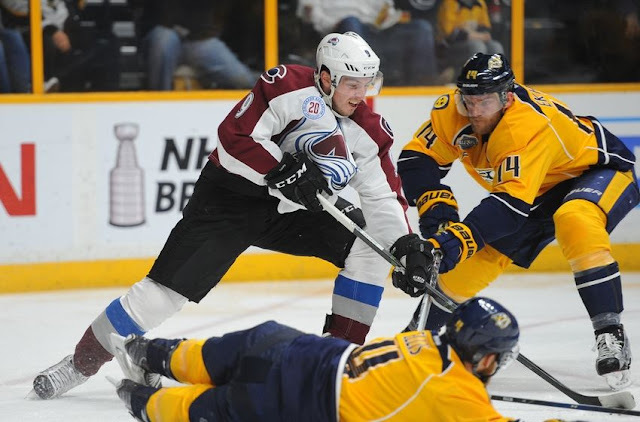 James Neal - The Kings are after a winger and Neal's name is near the top of their list. Evander Kane - Another Kings target, but the Islanders, Ducks, Wild and Predators have shown interest. The Canucks are a darkhorse - they've looked at it, but many believe they're not highly motivated to make that deal. Chris Tanev - Seems quiet on this front. The Leafs and Stars are interested, but they may wait to see if the price comes down. Dion Phaneuf - Not a frontburner issue for the Sens, but the list of teams rumoured to have interest includes the Kings, Stars, Sharks, Canadiens and Oilers. Alex Galchenyuk - Extension talks may have been reinvigorated by the prospect of teammate Alex Radulov heading to free agency. The Penguins, Rangers, Stars, Devils, Islanders and Avalanche are rumoured suitors. Marc Methot - Toronto, Dallas and Montreal have been linked to Methot in recent days. Other notes: the Jets plan on taking a swing at the free agent goalie market next week and many believe Brian Elliott is on their list; Flyers plan in the same, rumours suggest they may go after Jonathan Bernier; a lot of rumour buzz around Claude Giroux this past weekend, but appears there isn't much to it; Brayden Schenn is a player the Blues have coveted for over a year, interesting a deal finally came together...he was at 1% trade odds on the rumour board; Dallas are ready to get rid of one of their goalies (Kari Lehtonen or Antti Niemi) via trade or buyout. Keep track of the latest trade rumours and free agency rumours here on NHLRumourReport.com!